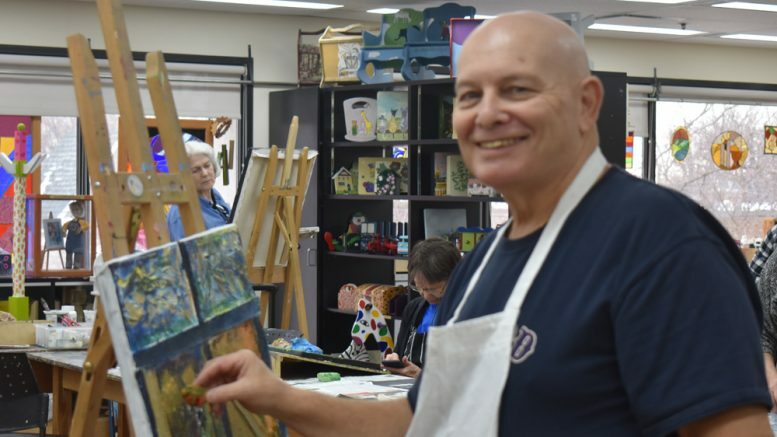 In the array of programs offered to the 50-plus generations, the fine arts and drawing classes at the Cummings Centre are attracting a lot of interest. 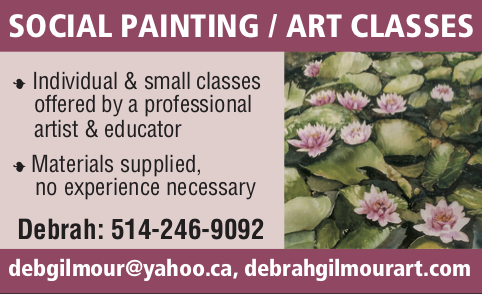 The classes are designed for budding artists with little or no experience, who desire to express themselves on canvas, paper, or in other media. Classes are bilingual and all teachers are trained and accomplished artists. To get an idea of the kind of work produced by students, a fine arts exhibition and sale will open Monday April 15, at 4:30pm, and continue April 16 from 9:30am, and April 17 from 9:30am to 1pm. The Centre is located at 5700 Westbury Ave. near the corner of Côte Ste. Catherine and the welcome mat is out to people from all ethnic and socio-economic backgrounds. The artistic works on display are available to purchase and include framed paintings, drawings, sculpture, and greeting cards. They are the result of what students have accomplished in beginner and intermediate level classes. Donna Shvil teaches introductory classes in portrait drawing starting Monday, April 29 at 10am, and Monday July 8 at 10am. The cost for six sessions, including materials, is $75 for members. She leads intermediate classes starting July 8 at 1 pm., and the cost for members including materials is $110. Noa Neeman is offering classes in the basics of drawing, the first of six starting May 9 at 6pm. Materials are not provided and the cost to members is $110. Christina Komaroff explores the ins and outs of digital painting in four sessions starting June 6 at 1 pm. Members pay $80 and materials are not provided. A more eclectic program called Explorations Divertissantes is a workshop given by painter and print maker Claude Aimée Villeneuve. She helps students create colourful booklets of their artwork, travel photos, or origami. There is a session May 13 and another June 3, beginning with lunch at noon, followed by the workshop. Cummings Centre members pay $10, non-members $15. Registration has also begun for a variety of courses covering the broad range of human activity for active seniors. They include fitness programs, lectures on global affairs, books and writing, boxing, various language courses, computer and digital training, support groups, a choir, and bridge. For the full spring and summer schedule of activities, click on cummingscentre.org/ and navigate from there, or call 514-342-1234. 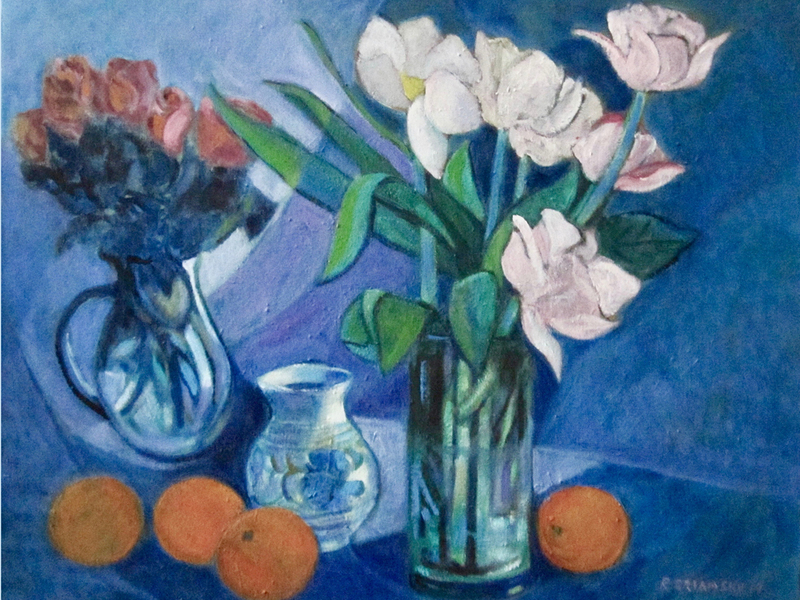 Rita Briansky, the award-winning painter, etcher, print-maker, and teacher will show her work, followed by a film, The Wonder and Amazement, Rita Briansky on Her Life and Art, May 9, 7 pm, at the Gelber Centre. It is sponsored by the Cummings Centre and Jewish Public Library. Tickets for members cost $15, non-members pay $20. 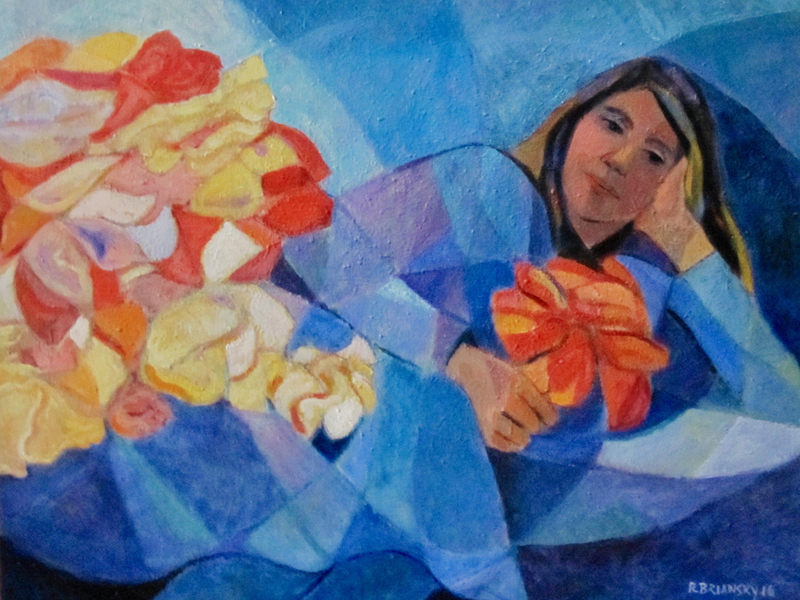 An exhibition of her work shows at the Federation CJA lobby May 9-14. Be the first to comment on "Cummings Centre to exhibit students’ art"